When I get in the mood to do some canning, I run with it. Break out the pots and pans, vegetable peelers, knives and jars – it’s time to can! 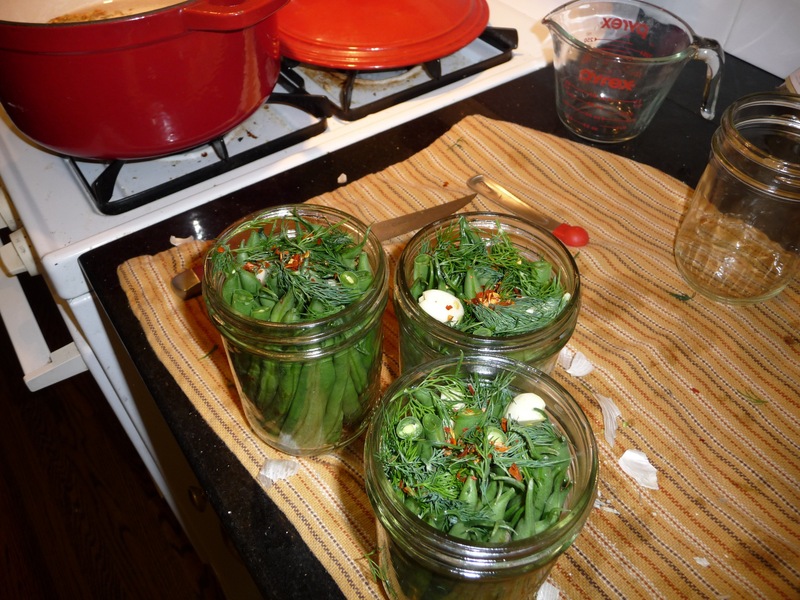 Now, part of why canning comes in streaks is the innumerable amount of dishes and overall mess it creates. I always find myself grabbing for another spoon, funnel or vegetable to make sure my jars turn out gorgeous…What? 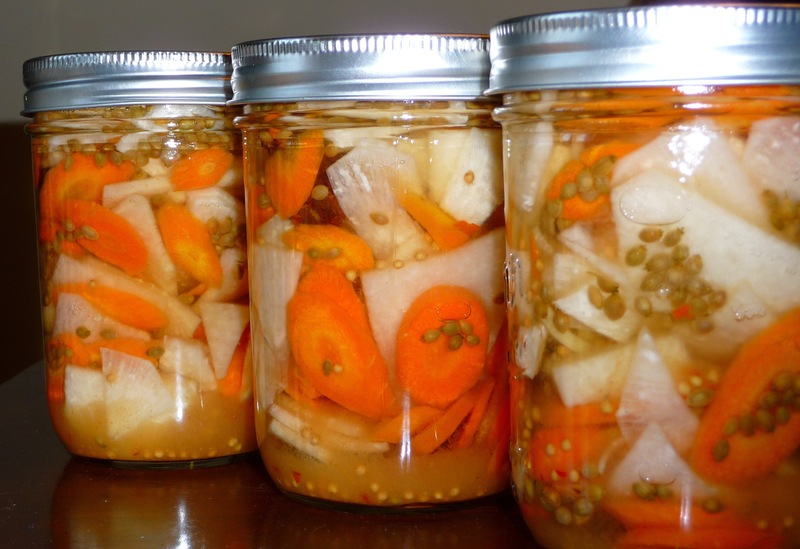 You didn’t think pickling could be gorgeous? Good sir/madam, I must correct you! Pickled seasonal goodness is a thing of beauty. This week I accomplished 2 different recipes on two occasions, with the result of three different types of pickled goodness: spicy pickled daikon/carrot chips, zesty dilly beans and spicy pickled heirloom carrots. Recipes and more pictures after the jump! For the pickled daikon/carrot chips, I went with a spicy recipe that has just enough heat to make your lips burn a little. I’ll be pulling these out of the pantry in a few months to pair with Mexican food or top a tortilla soup. Thinly slice the vegetables into chips of about equal width and size, set aside. 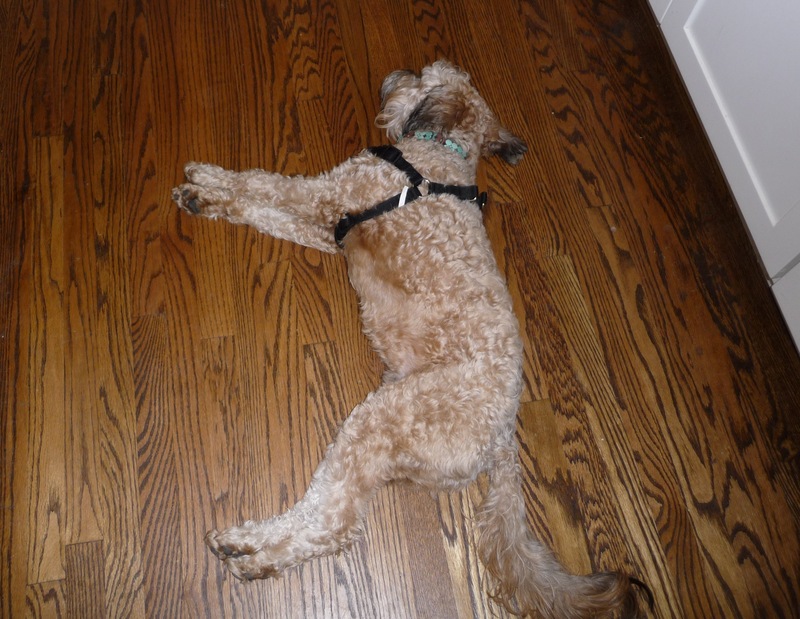 medium-sized, non-reactive pot, like enamel. Bring to a boil. Taste and adjust spices to please your palate. Add the sliced vegetables. Stir to combine and remove from the heat. Fill prepared jars. Wipe rims and apply lids. Process in a boiling water bath for ten minutes (starting time after the pot has returned to a boil). Soak all veggies in salt and water combo to clean. 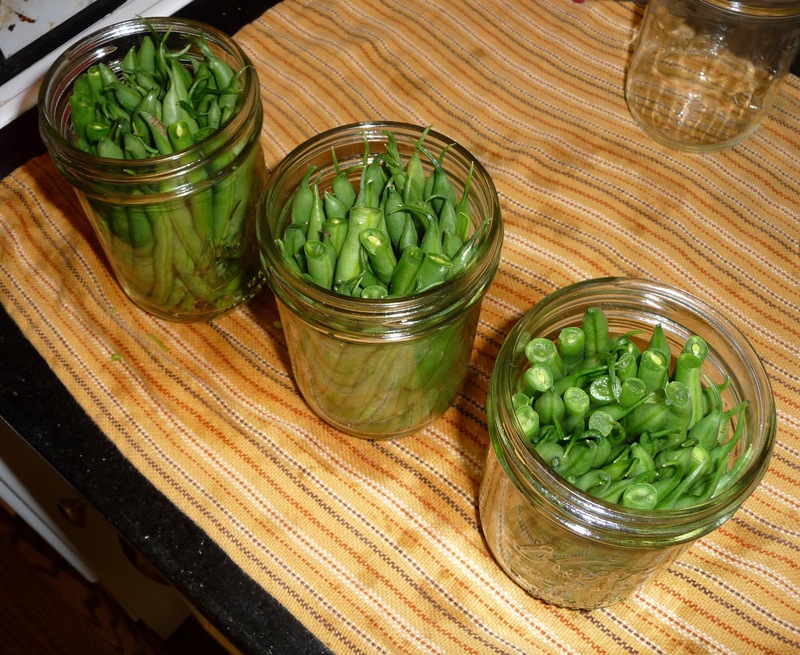 Rinse well and trim veggies to fit to height of your jars. Reserve any extra end pieces to fill in tops of jars. Into each jar place dill, 1 clove garlic, 1/4 teaspoon crushed red pepper flakes. 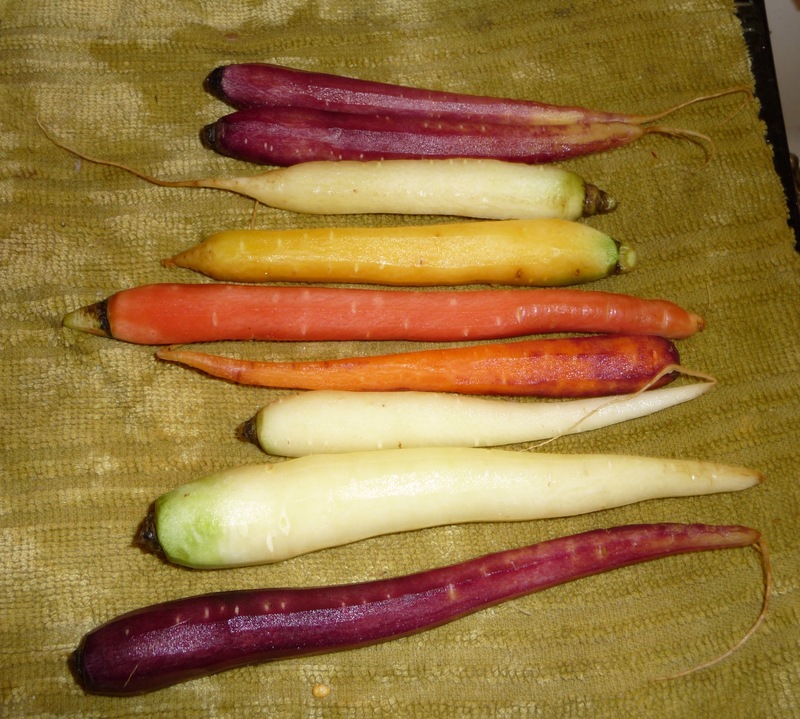 Then pack in vegetables. For dilly beans, try to place all beans in same direction (cut side down works well) and pack in very tightly. Top off with any tid bits of veggies so jar is filled up to 1/2 inch from the top of lip. 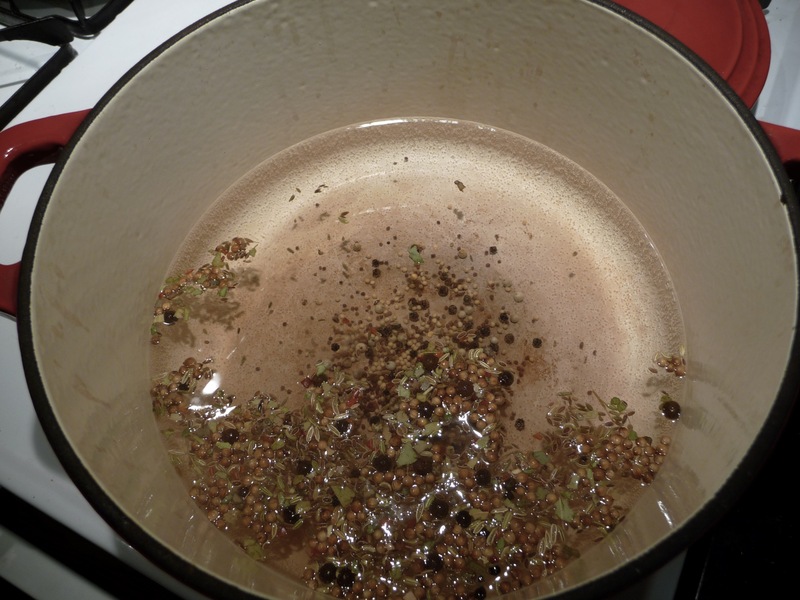 Prepare brine: combine vinegar, water, salt, mustard seeds and celery seeds. Bring to a boil and then pour into prepared jars, leaving 1/2 head space. In a separate large pot, process jars in boiling water bath for 10 mins. Remove jars from water bath, let cool and test for seal. Label and let sit for at least one week to allow veggies to pickle. Open and eat!